While the field of management has developed as a research discipline over the last century, until the early 1990s there was essentially no acknowledgement that the human spirit plays an important role in the workplace. Over the past twenty years, the tide has begun to turn, as evidenced by the growing number of courses in academia and in corporate training, and an exponential increase in the publications emerging through creative interaction of scholars and practitioners in organizational behaviour, workplace diversity, sustainability, innovation, corporate governance, leadership, and corporate wellness, as well as contributions by psychotherapists, theologians, anthropologists, educators, philosophers, and artists. · What does it mean to be a “spiritual” organization? How does this perspective challenge traditional approaches to the firm as a purely rational, profit-maximizing enterprise? · Is faith and spirituality in the workplace a passing fad, or is there a substantial shift occurring in the business paradigm? · How does this field inform emerging management disciplines such as sustainability, diversity, and social responsibility? · In what ways are faith and spirituality in the workplace similar to progressive and innovative human resource practices. 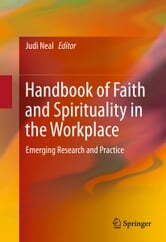 Does faith and spirituality in the workplace bring something additional to the conversation, and if so, what? 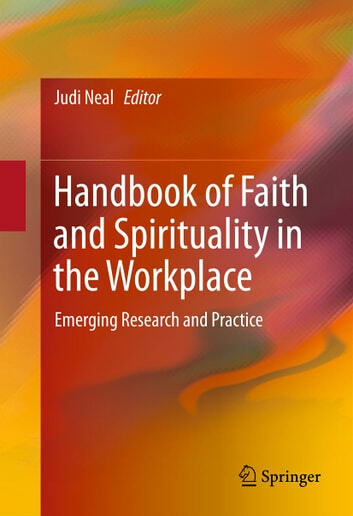 The aim of The Handbook of Faith and Spirituality in the Workplace is to provide researchers, faculty, students, and practitioners with a broad overview of the field from a research perspective, while keeping an eye on building a bridge between scholarship and practice. Sister Patricia Helene Earl I.H.M.